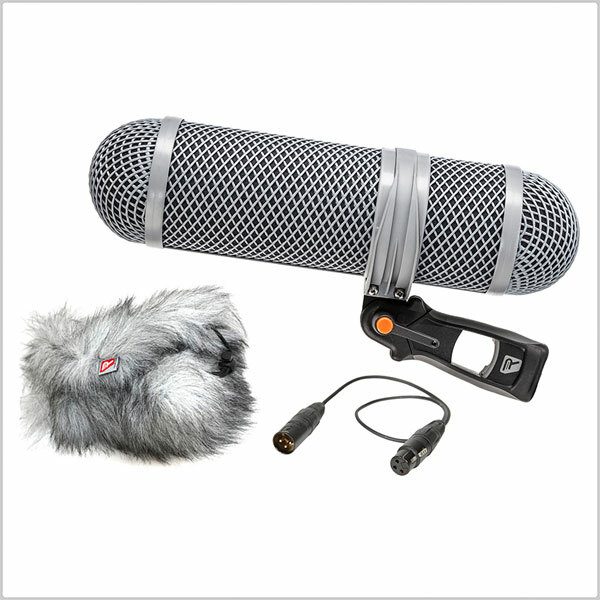 The Super-Shield Kit is a complete windshield and shock mounting system for shotgun microphones. The Small Kit is for microphones up to 200mm in length. Lightweight basket windshield system with a minimum number of parts, simple to use. Configurable for aerodynamic and centre-of-mass balance. Excellent wind noise reduction and lyre-standard isolation from handling noise. 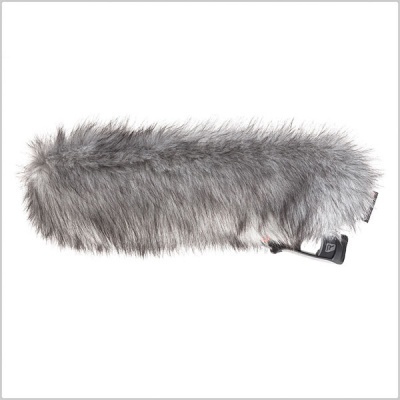 Removable fur Windjammer to add the highest levels of wind noise suppression. 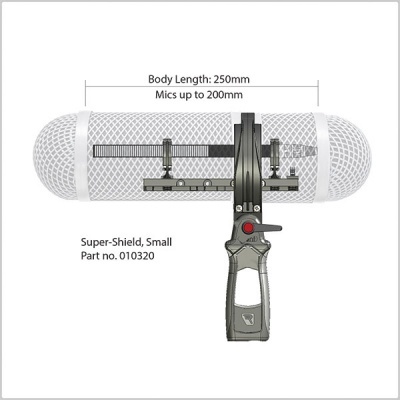 The Super-Shield Suspension provides your microphone isolation from shocks and vibrations, thanks to its patented Lyre technology. 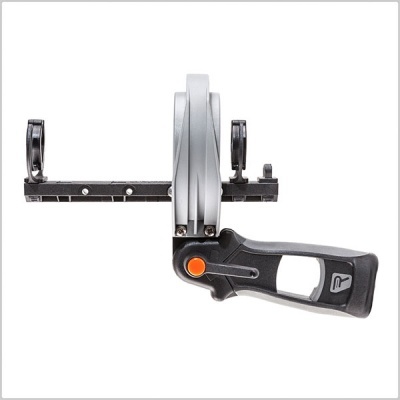 The Lyre cuts handling noise with any axial microphones, without the use of rubbers or elastic and is the accepted broadcast industry standard. The suspension is suitable for microphones 19mm (3/4”) to 25mm (1”) in shaft diameter, using two snap-in, pinch-release Lyre suspensions, that can be slotted into any of six positions for perfect balance and fit. 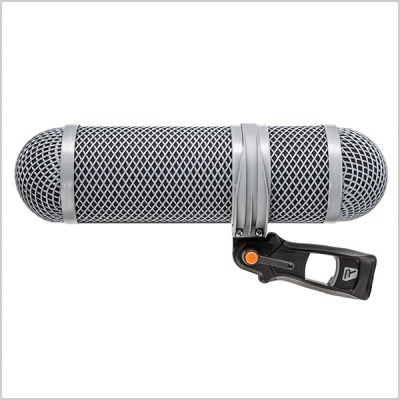 The suspension comes supplied with an 18” (450mm) highly flexibility microphone cable. The Super-Shield Windshield is made up from two “pods” which attach to the central chassis. They are lightweight, durable baskets made from flexible grey plastic netting with a screening material attached. 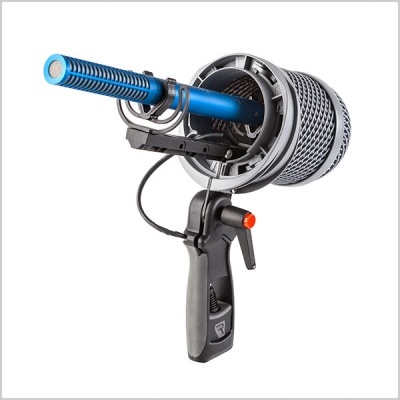 The windshield has a twist lock system onto the suspension chassis ring, and when fitted completely surround the whole microphone, connector and suspension. This system creates a still volume of air around the microphone, which provides excellent wind-noise reduction, with minimal High-Frequency loss. The Windjammer is a high-quality synthetic fur cover which provides excellent protection against extreme wind noise. The Super-Shield Windjammer is handmade in the UK from highest quality materials available, which are specially designed and manufactured for the purpose. As a result it has very little detrimental effect on the high frequencies in the audio being captured.